« Hyena Road: Bullets-and-Bodies or Hearts-and-Minds? Thursday through Saturday this week in Tampa, Florida, is the Association of Writers and Writing Programs conference, the largest gathering of the year for authors, readers, teachers, publishers, and other lovers of literary fiction, poetry, and memoir. Contemporary war-and-military writers are typically well-represented at AWP panels and readings. Numbers are a little down this year, though still substantial, and judging by the panel descriptions and social media chit-chat, everyone is looking forward to contemplating weighty questions: How has everyone survived the tumultuous and nerve-rattling past twelve months? What does it all portend for writing about war?? Where can the best beer selection in Tampa be found??? All answers will be revealed in the coming days, assuming those of us living in the snowy Northeast can still catch our flights to sunny Florida. My own contribution will be to moderate a panel titled Conflict, Crisis, Verse: Four Poets in Conversation featuring Benjamin Busch, Jehanne Dubrow, Dunya Mikhail, and Brian Turner. This one’s an embarrassment of riches, people, like being asked to coach the 1992 Olympics basketball Dream Team, so I’ll do my best not to screw it up—you might say that all I have to do is roll out the balls, hand-out the jerseys, and then stay-the-hell-out-of-the-way. 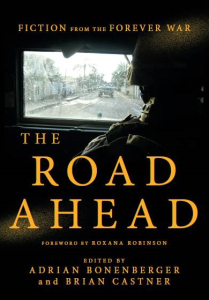 Busch’s late-2016 The Road Ahead story “Into the Land of Dogs” really is one for our times, a surreal apocalyptic nightmare vision of war in Afghanistan and afterwards that as much as any tale I’ve read lately drains and wrecks war-and-soldiering of redeeming value, and all the better for doing so. Busch’s poetry, which I love, operates differently. Short lyrics marked by flinty stabs at experiential insight generated by close observation of nature and local event, their hardy stoicism seems forged by the long years Busch has lived in upstate North-country climes, first New York and now Michigan. Dubrow’s 2017 poetry volume Dots & Dashes is a thing of beauty in particular and in toto. I’m not sure which I like better, the wide-angle poems that ponder the irony of being a poet in an era marked by conflict and violence, or the narrow-focused ones that plumb Dubrow’s marriage to a military officer, but they’re all good. 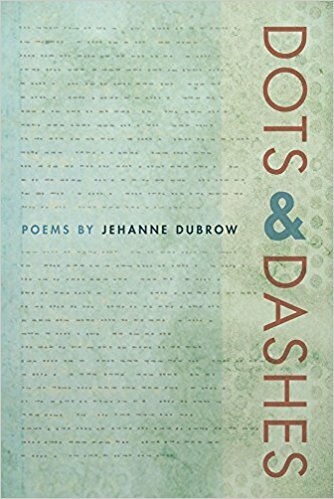 Dubrow is a master of form and technique, as well as of observation, with the fourteen or so sonnets in Dots & Dashes especially remarkable for their exciting, pitch-perfect blends of language, image, and sentiment. Mikhail, already recognized for her wonderful poetry collection The Iraqi Nights and her prose-poem memoir Diary of a Wave Outside the Sea, will soon be made even more famous by her about-to-be-published work of journalism titled The Beekeeper: Rescuing the Stolen Women of Iraq. 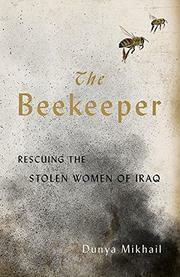 The Beekeeper’s subject is the efforts of a roguish band of smugglers, fixers, and humanitarians to save Christian women of the Iraqi Yazidi tribe who have been kidnapped and enslaved by ISIS, as well as about the strength and bravery of the Yazidi women themselves. Beautifully and movingly told, it will almost certainly attract laurels for its heroes (and author) while galvanizing contempt for ISIS brutality. As for Brian Turner, what can you say? 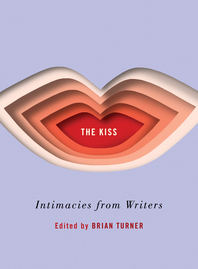 I’m tempted to write Brian f-ing Turner, out of respect for the quality of his writing, his eminence in the field, his generous support of other authors and his readers, and his relentless exploration of new artistic possibilities. Everything I wrote about him in this 2014 blog post is still true now, or even truer. 2017 saw Turner release a hybrid poetry-music blend under the name Interplanetary Acoustic Team that features his late wife Ilyse Kusnetz’s poetry and voice. Now, early 2018 has brought The Kiss, a splendid anthology of vignettes by talented writers (including Busch) about one of life’s tenderest moments. Now who else would think of that but Sergeant Turner? The author Chuck Klosterman has proposed that as long as we are going to elect entertainment celebrities for President, he’d vote for the wise, generous, calm, and patient Willie Nelson. I like that, but Willie’s a little long-in-the-tooth, so how about if we just vote right now Turner for President, if not of the nation, then of the United States of Poetry? For a list of all AWP panels focused on contemporary war and conflict, see Charlie Sherpa’s Red Bull Rising post here. This entry was posted on March 7, 2018 at 2:49 pm and is filed under Art and War. You can subscribe via RSS 2.0 feed to this post's comments.